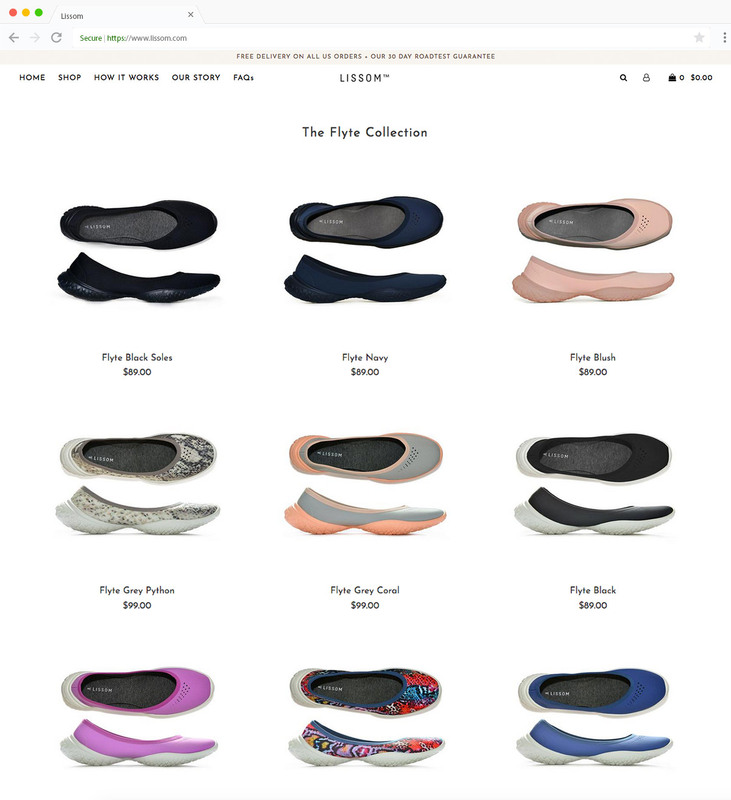 Jennifer, founder of Lissom launched the brand in the early part of 2018. 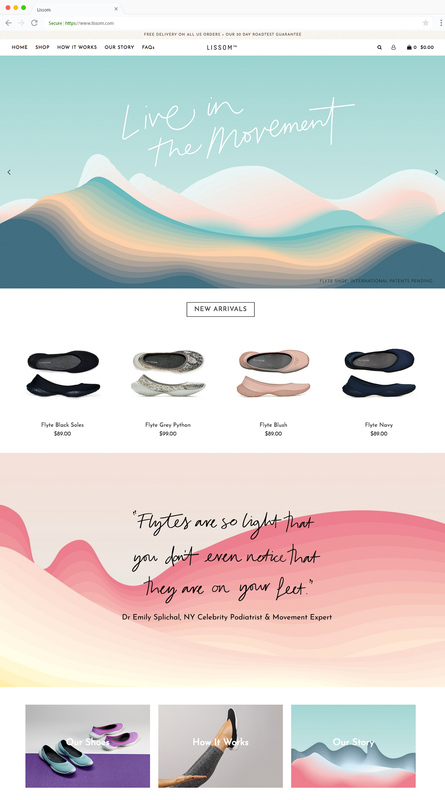 She wanted to create a new shoe that would allow her feet to be grounded, improving the communication with her core and helping her move better through her everyday routine. All whilst looking great. With that in mind the Lissom brand was created with a shoe that met the above criteria in a range of colours. 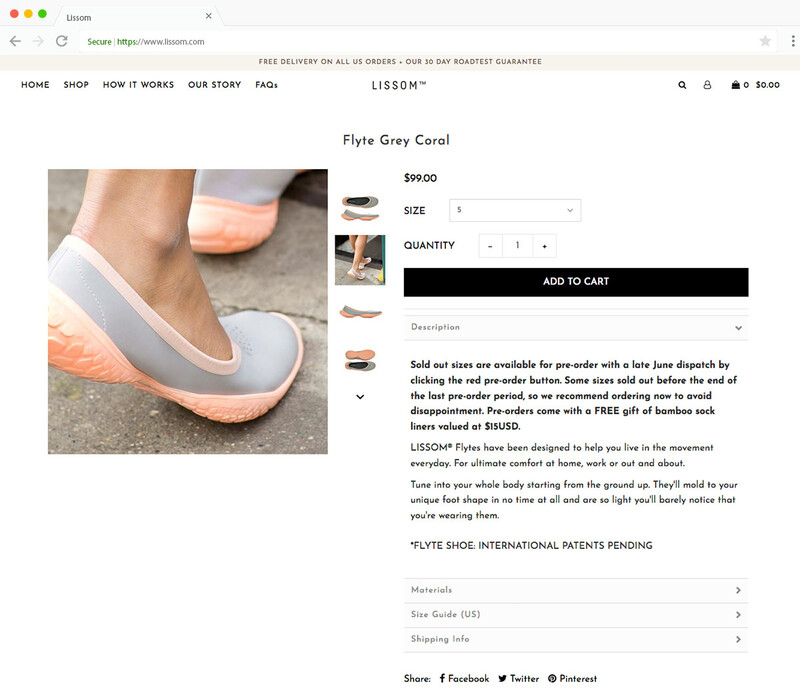 Lissom needed a store that represented the brand in its own unique way, which our team developed on the Shopify platform. With two key markets being targeted, the EU and the USA, Lissom needed a way to give these different customer groups a unique experience of the Lissom brand and to be able to allow her customers to pay in there home currency. Our team worked closely with Jennifer and her team to build an online experience that matched the brands objectives. Two stores were developed for each of the two key markets, USA and EU, with an automatic redirection based on the visitors IP address being used to automatically redirect visitors to the localized version of the shop. A stock synchronization system was integrated to make sure stock aligned across both online shops alongside a social login system being introduced. Bespoke informational pages were also developed to explain the brand to new visitors in a digestible yet creative manner. Shortly after launch of the new online shop the product was featured in The Oprah Magazine as one of “8 Accessories to Get You Ready for the Great Outdoors”.